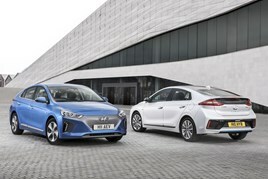 Hyundai Motor is stepping-up its efforts to develop connect car technologies ahead of the launch of a ‘Hyper-connected Intelligent Car’ in 2020. The Korean brand’s independently-developed ccOS (connected car Operating System) will bring advanced integrated technologies to customers by optimising high-speed transmission and reception of data within the vehicle to support increasingly complex features, a statement said. Earlier this year, Hyundai Motor established an Infotainment Software Development Team in its Namyang Research and Development Centre dedicated solely to developing ccOS technologies. Hyundai Motor’s strategy to develop its own platform optimized for connected car operation is centered on advancing how vehicles communicate with their internal and external environments but intelligent remote support, fully autonomous driving, smart traffic functionality and mobility hubs will also be a focus of the developments. A spokesman for Hyundai said: “The first ccOS-installed vehicles are set to be available in 2020 under the concept ‘Hyper-connected Intelligent Car’, after conducting substantial simulation tests to ensure compatibility. Advancing its ‘Open Innovation’ plan, Hyundai Motor and Cisco are working to develop car network technology, another core platform requirement to enable the rapid development of connected cars. Hyundai Motor has also opened a new Big Data Centre in China to reinforce its venture toward connected car development.